What I've been wearing this week | Is This Mutton? So here i am in January in a new outfit for the gym, after saying I wouldn't buy any clothes until my summer. 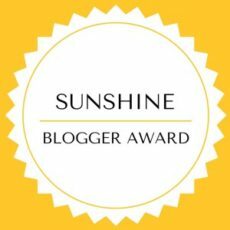 But I am vindicated! My company has a special well being fund and we can buy gym memberships, sporting attire and equipment and just pay the tax. So my camo leggings and "Dance like nobody's watching" sweatshirt don't count. So what else have I been wearing? 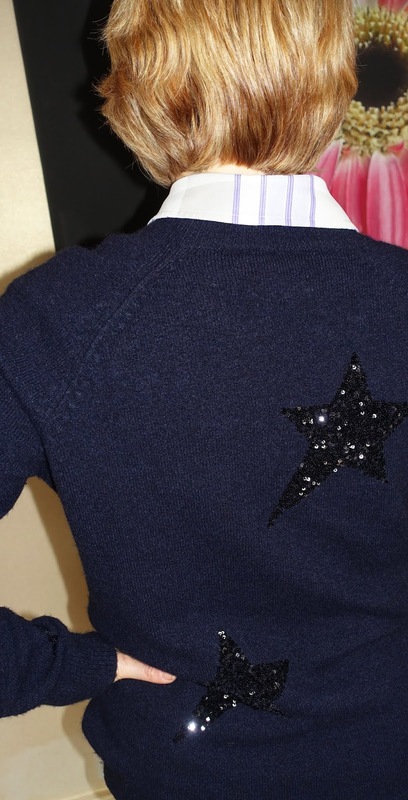 This Fabienne Chapot jumper (sweater) with sequinned stars is ideal for cold weather, particularly with a shirt underneath. It's a relaxed but not too casual look for work with blue trousers and suede boots. Here's the back of the jumper with a close-up of the stars. 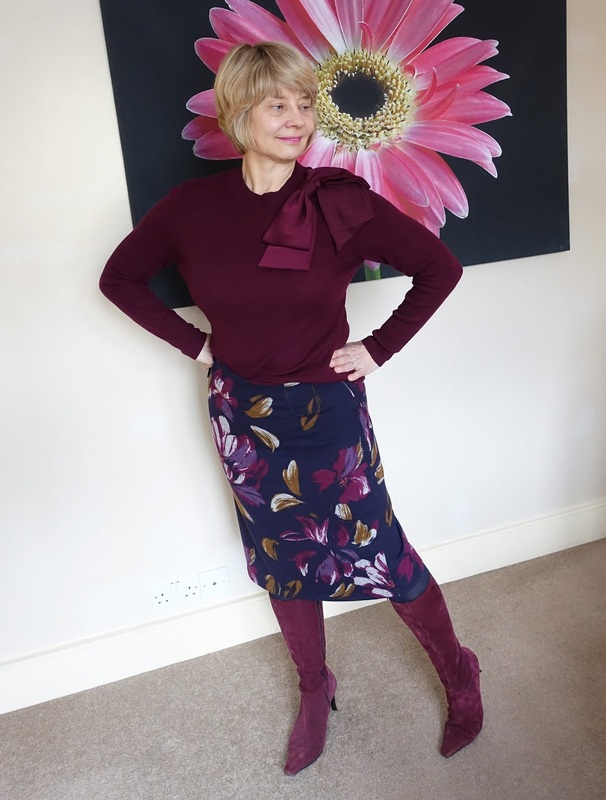 For a colleague's leaving do, and something the team like to do every now and then, "print day," I wore my Ted Baker burgundy jumper, which has a detachable bow, and a Lily and Me skirt (now reduced) plus my old (10 years plus) suede boots. To tell the truth, I did not wear the boots because I caught the train to work that day which involves a lot of walking, and the boots are too high heeled for that. But they look good, don't they! 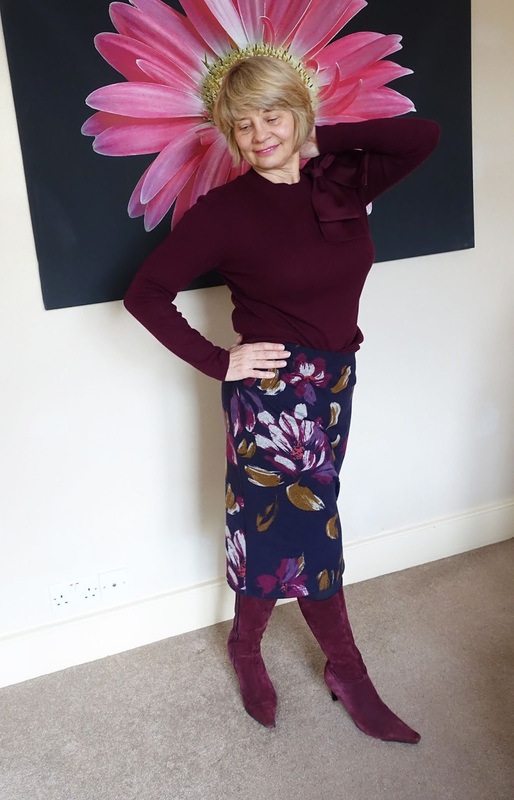 I'm back on Wednesday with the results of the first Is This Mutton fashion and beauty survey and the #WowOnWednesday link-up. On Sunday I'll be sorting out one of my dilemmas: dealing with the colour blue. Sharing this post with On Mondays we Link Up with Glass of Glam; Creative Mondays at Claire Justine, #ShoeandTell at Style Nudge; #IwillwearwhatIlike at Not Dressed as Lamb, Visible Monday at Not Dead Yet Style; #MuttonstyleMonday at Mutton Style; Style with a Smile at Stylesplash; Turning Heads Tuesday at Elegantly Dressed and Stylish, #SpreadTheKindness at Shelbee on the Edge, Chic&Stylish at Mummabstylish, Top of the World Style at High Latitude Style, Fancy Friday at Nancy's Fashion Style. Fabulous Friday at A Pocketful of Polka Dots, #Weekend Wear at Threads for Thomas Thursday Moda.at Elegance and Mommyhood. These three looks are all great. Thanks for sharing them at the party. The bow on the sweater is a great idea. 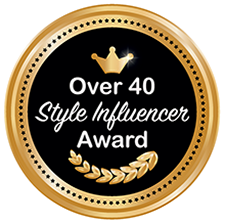 It creates interest and ups the style factor.